There's just no getting away from the fact that you need to generate traffic to your websites. Lots of people struggle with traffic generation, however it doesn't have to be that difficult. One of the main things to consider is 'where does my target audience hang out when they are on the internet?' If you can find this out then you can devise methods of reaching them more easily. If you can afford to spend a little money then you will dramatically speed up the traffic generation process. A popular method is buying solo ads - or solo broadcasts. In simple terms, this is where you pay someone else who has a mailing list to email their subscribers promoting your offer. Often you are guaranteed a certain number of visitors to your website. For example, 500 clicks or 1000 clicks. Obviously the more clicks (visitors) you are guaranteed then the more expensive the advert will be. If you can't afford to buy a solo ad but still want to tap into instant traffic provided by other people's mailing list then an excellent method to use is adswaps. Basically they work in a similar way - but instead of paying for the advert you simply send the other person's offer to your list in return. Obviously in order to take advantage of this method you will need to have a mailing list of your own, but if you do then this can be a good method. It's a little bit old school but forum marketing can work very well indeed. Simply posting to relevant forums and including a signature link back to your websites can provide you with some free traffic. The key to success with this method? Making sure that the posts you make are filled with content and are not in any way spammy. Your forum posts should demonstrate your knowledge of the subject - and then if people want to find out more about you they will click on your signature links. Again, it's a little 'old school' - but who really cares if it works? Viral marketing is where you create something (for example a short report, ebook, video etc) and then give it away to people and allow them in turn to also give it away. By putting links to your websites inside the product, as more and more people give it away more and more people see your links. Get this right and the viral effect can really take off - and it's possible to still be generating traffic from this on complete autopilot YEARS after you created the original report or video. 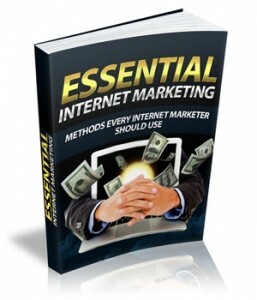 This is another good one to try if you're wanting to generate some free traffic. All you need to do is find blogs in your niche and then make comments on relevant posts. When you leave your comment, most blogs allow you to also leave a website address, so people will see your comments and if they find you interesting they will click on your link and visit your website. As with forum marketing the key to success with this method is making your comments relevant and interesting (ie. Never leave one line comments because it is obvious that you are only doing so in an attempt to advertise yourself). Writing good quality articles and then submitting them to article sites can still work very well indeed. Just include your link in your resources box.